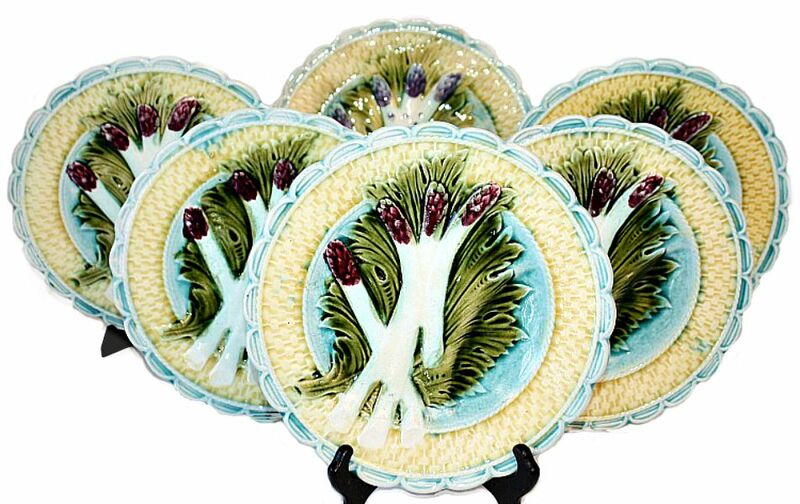 Exceptional set of 5 Antique Keller and Guerin Luneville Asparagus plates, purchased from a collector in Europe. Five decorative plates with scalloped rims have a country basket weave design on a wide yellow border. Lettuce and asparagus, in raised relief, flank the sauce well in the center. The tips of the asparagus are bright Purple. The plates are in excellent age related condition, beautiful to display in your French Country dining room hutch, so stunning with vivid glazing and vibrant colors. Each was individually molded, hand painted, then glazed, each is unique. 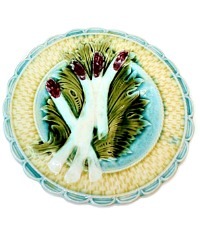 The Luneville factory was founded in 1730, producing Majolica wares. Wonderful condition, this is a thickly well potted set. 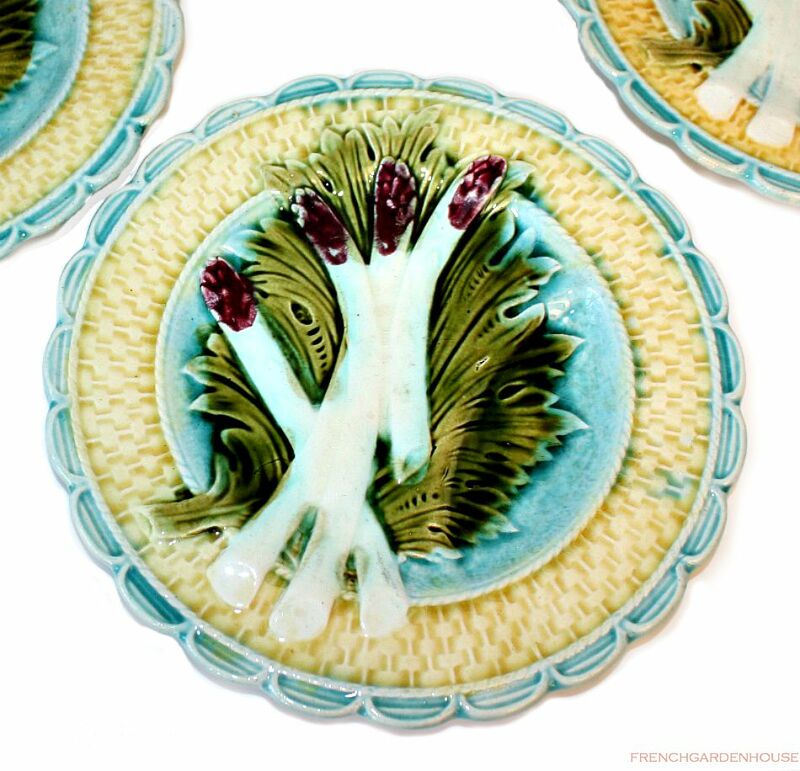 Asparagus were highly prized, a luxurious delicacy in 19th century France, their presentation was considered important, and a way to reflect the status of the hostess. French Barbotine pieces are among the most prized. If you have a love for Artichauts et Asperges, and pride yourself on setting the most elegant tables for guests, or simply wish to display this set as part of your prized collection, don't miss the chance to own this heirloom quality set. Of note, that fabulous craquelure you want to see on pieces of this age, mid 1800's.